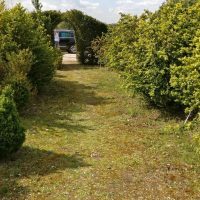 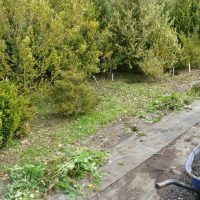 We all started by clearing as many of the nettles and other weeds as possible from under the plants. 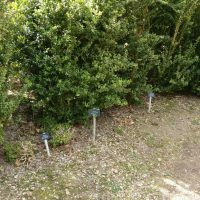 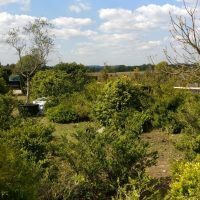 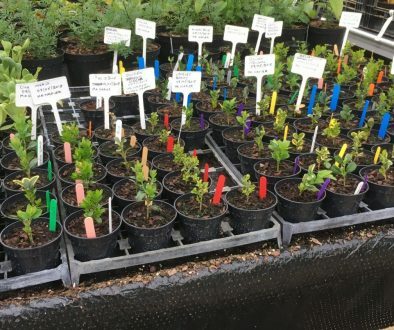 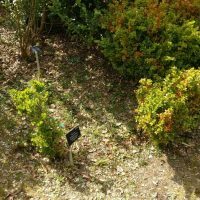 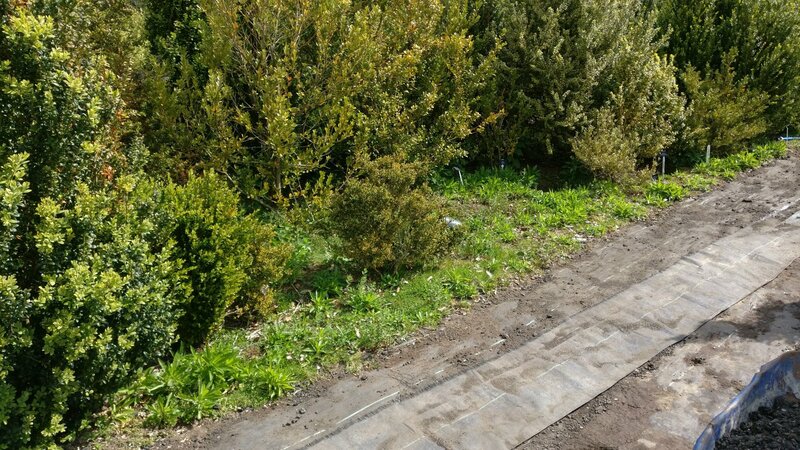 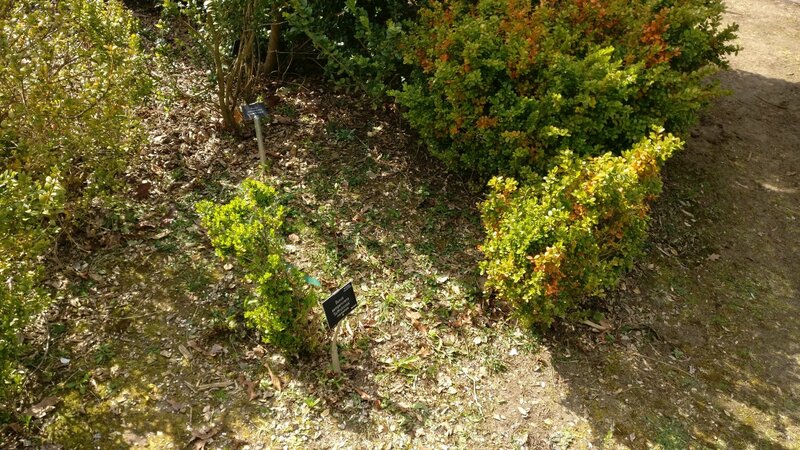 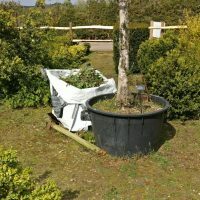 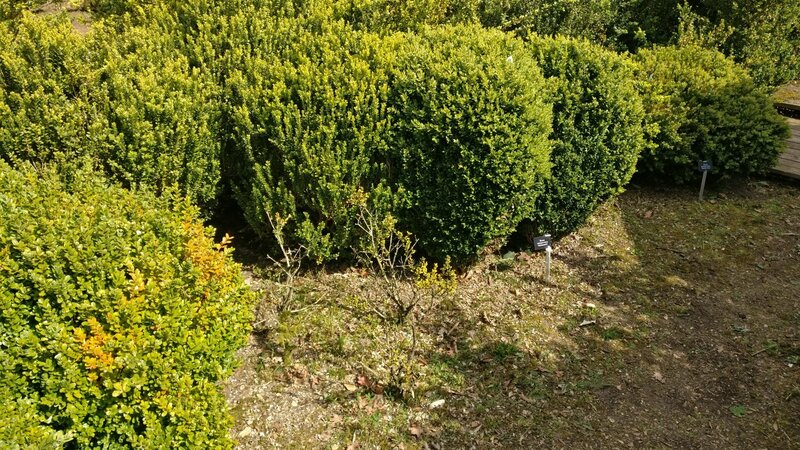 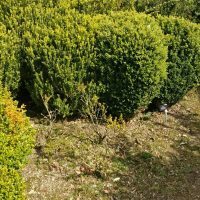 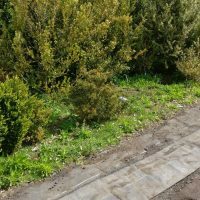 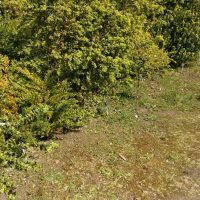 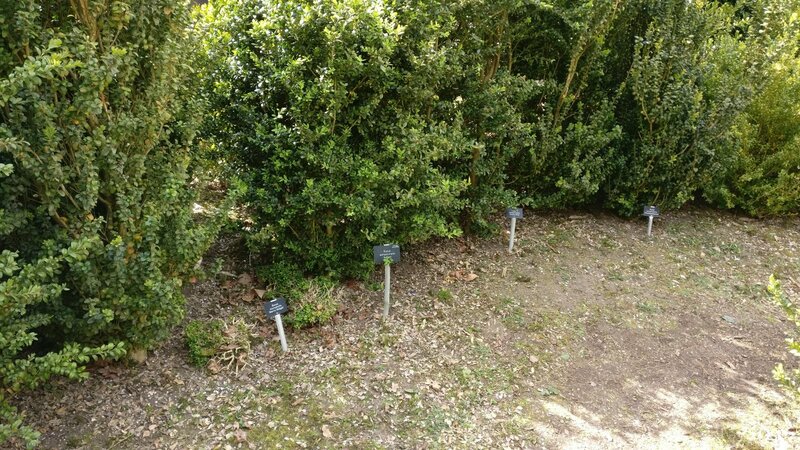 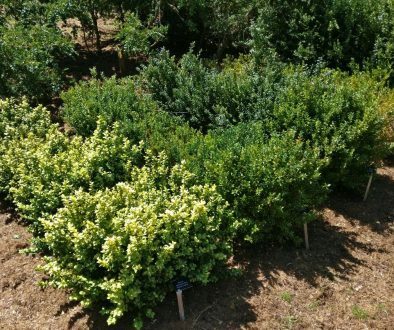 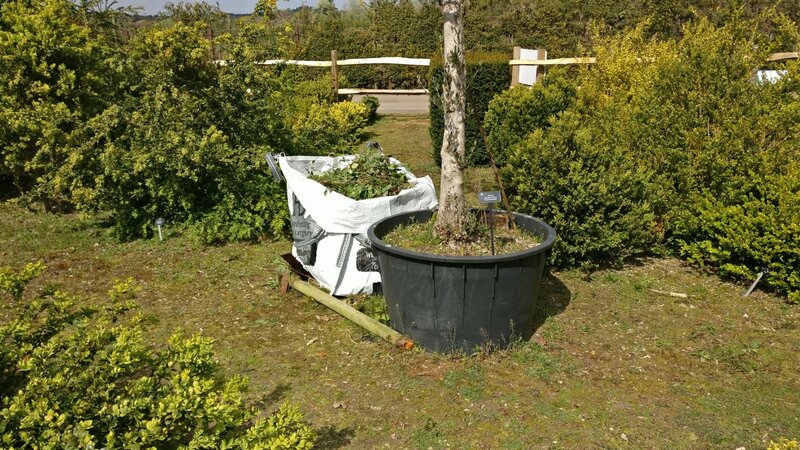 Next Chris applied the Topbuxus Grow at the prescribed rate of 50g per square meter (in this case that works out at roughly one small Marmite jars worth per plant). 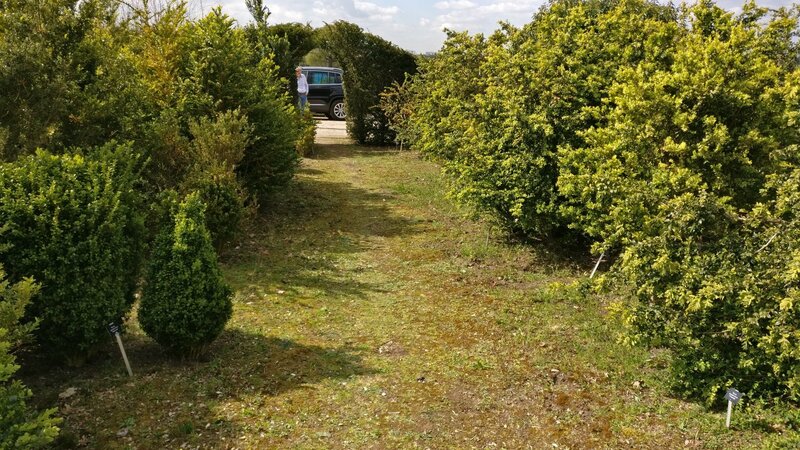 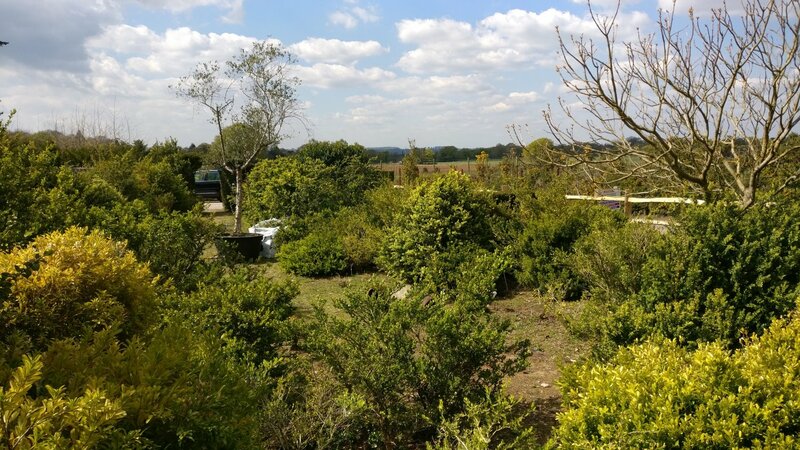 By the end of the visit the area was looking better and hopefully the plants will for the first time in many years have some extra feed to help them back to full health. 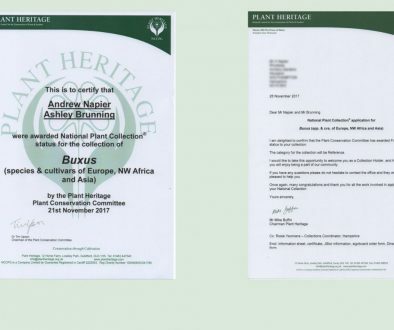 Application to Plant Heritage to start the process of getting the National Collection status. 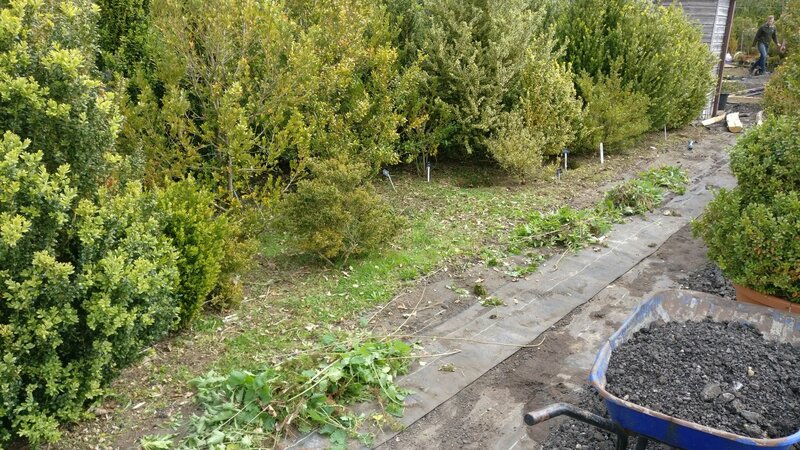 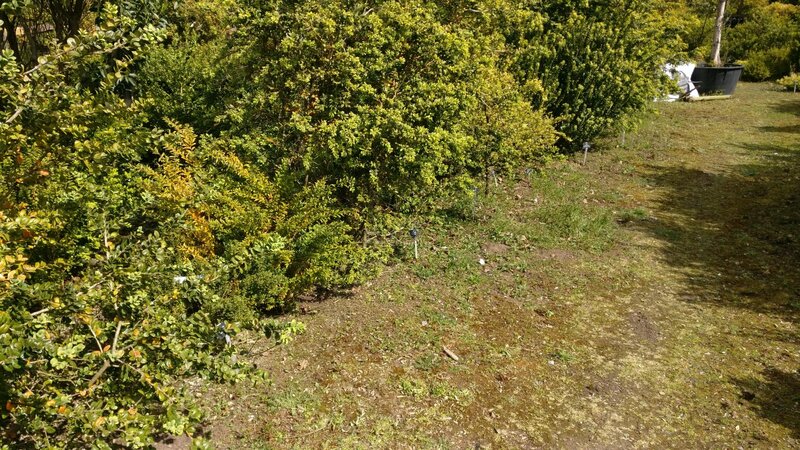 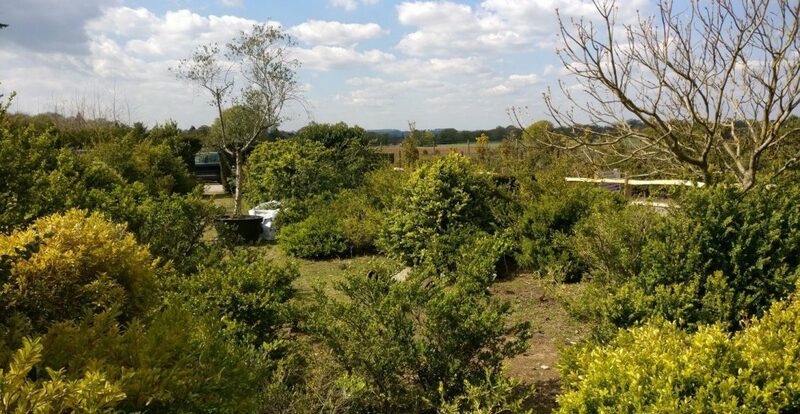 Topbuxus Site Visit	Attaining National Status?